Akshay Kumar and Karan Johar had an amazing time together at the Kesari event. 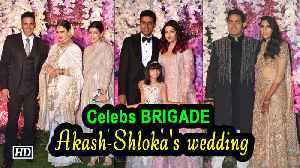 Have a look at the video to see the glimpse of their fun moments. Filmmaker Rohit Shetty who is for the first time collaborating with actor Akshay Kumar in his directorial venture " Sooryavanshi" will start shooting for the action-cop drama from May. 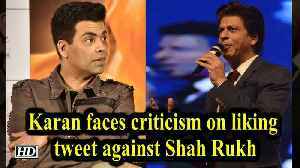 "Sooryavanshi"..
Filmmaker Karan Johar, who has been slammed by social media users for liking a tweet which trolled superstar Shah Rukh Khan, on Friday apologized. The user spoke about Akshay Kumar's latest release..
Akshay Kumar starrer Kesari is based on true story of 21 brave Sikh soldiers who fought Battle of Saragarhi, which will be presented first time onscreen. 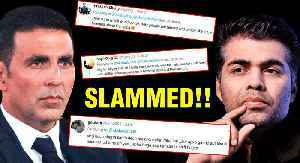 It has been considered that its release will..
#AkshayKumar and #KaranJohar tweeted about their upcoming film Kesari’s new song. And they were slammed for promoting their film’s song amidst India-Pak tension. 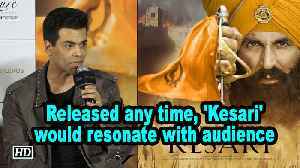 Watch the video to know more..
Akshay Kumar has already impressed his fans with the trailer of his upcoming film ‘Kesari’ in which the khiladi actor will be portraying the role of Havildar Ishar Singh, who led the Sikh Army and..